Wedding Pavilion After starting to promote weddings at Walt Disney World with a Fairy Tale Weddings department in 1991, the park opened a special Wedding Pavilion on July 15, 1995, featuring a view of Cinderella Castle and seating for up to 250 guests. The Pavilion actually had its first wedding, and a preview, on Weddings of a Lifetime on the Lifetime cable network on June 18, 1995, when David Cobb and Susanne Mackie were married there. 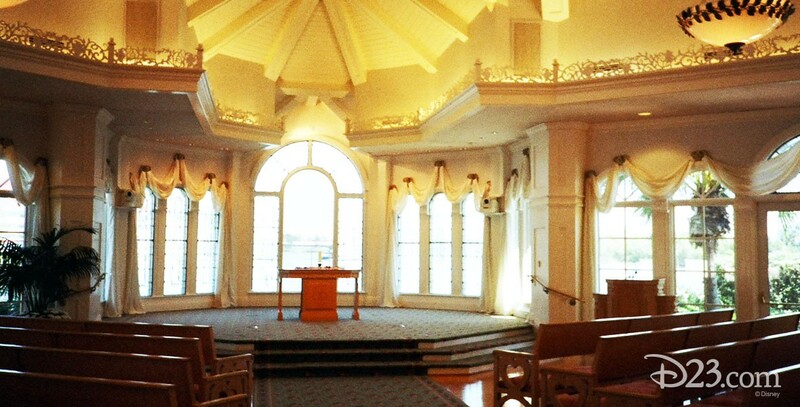 The pavilion is located on an island near the Grand Floridian Resort & Spa, and adjacent to it is Franck’s, a wedding salon where couples can make their wedding plans.